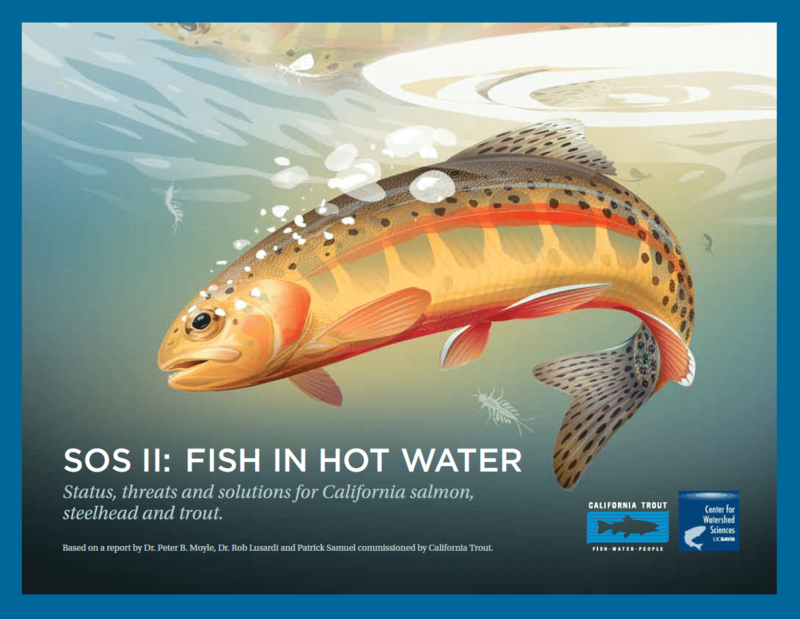 From CalTrout Archives | California Trout, Inc. The incredible journey of these fish really is a miracle of nature. Just in the fact alone that they can so quickly change their physiology to be able to move back and forth from fresh to salt water. That’s a pretty neat card trick and something not too many other fish can do. Then when you think about how little we know about where they go once they are in the ocean and the types of hazards and predators they have to evade to make it back to our coastal streams. It’s truly amazing. Steelhead are one of the most highly adaptable fish out there with their ability to tolerate temperature variances, choices in the life history strategies they can display and ability to move back and forth from salt to freshwater ecosystems and feed in both, yet they are also very delicate when it comes to catching and handling them. Nor Cal fishing guide John Fochetti and a white-hot slab of precious metal. 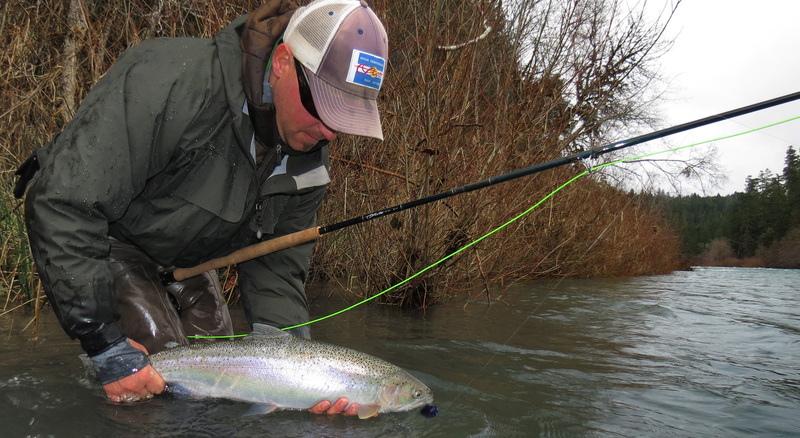 As we approach mid-March with Spring right around the corner California anglers searching for winter steelhead know their chase is about to change. Come March 31st a number of coastal tributaries will close to angling in order to protect spawning fish. 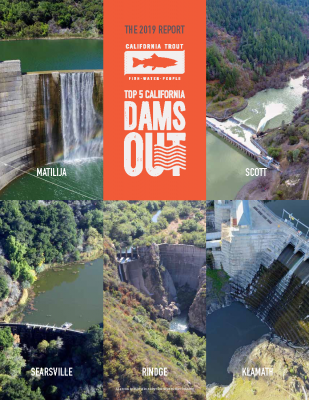 On those rivers still open, anglers will likely see fewer fresh fish and an increase in the number of kelt (post-spawn steelhead on their way back to the Pacific). 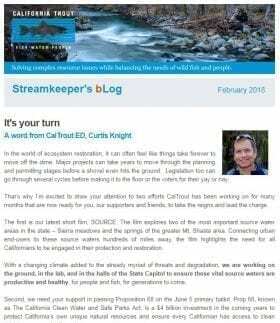 And, while summer steelhead are still a ways off, now might be a good time to start thinking about the impact of water temperature on caught and released steelhead. Last month (link to Feb 6 article) we spoke about the impact of 0, 10, and 30 seconds of air exposure on post-release behavior and survival of wild Bulkley River steelhead in British Columbia. Regardless of air exposure amounts, the Bulkley study demonstrated that water temperature was positively correlated with blood lactate. For all intents blood lactate and lactic acid (a term you probably have heard before) mean the same thing. At its simplest, a fish fighting on the end of your line produces blood lactate through anaerobic metabolism because it can’t take in enough oxygen to keep up with the demands of it’s muscles. Imagine how one might feel after sprinting 200 meters full out. 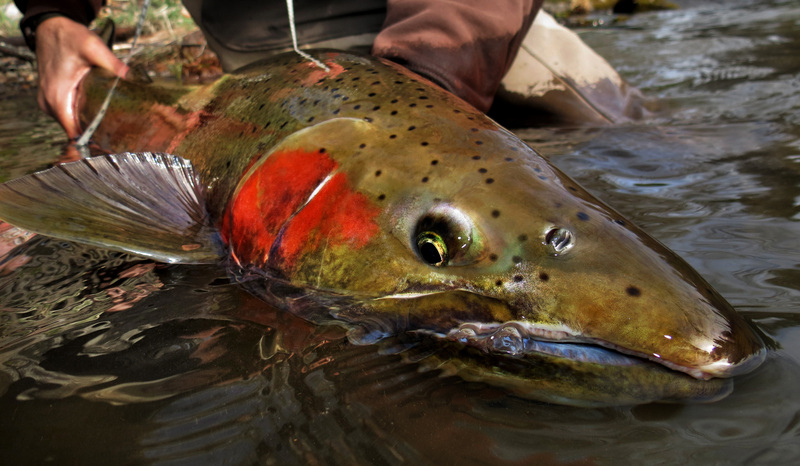 After an extended fight, that steelhead is experiencing similar physiological stress. In general, as temperatures rise water carries less oxygen. So, at higher water temperatures with less oxygen we put more stress on fish, regardless if that fish had been left in the water or exposed to air. The key take away is this — a fight at high water temperatures puts more stress on a fish than a similar length fight at lower water temps. 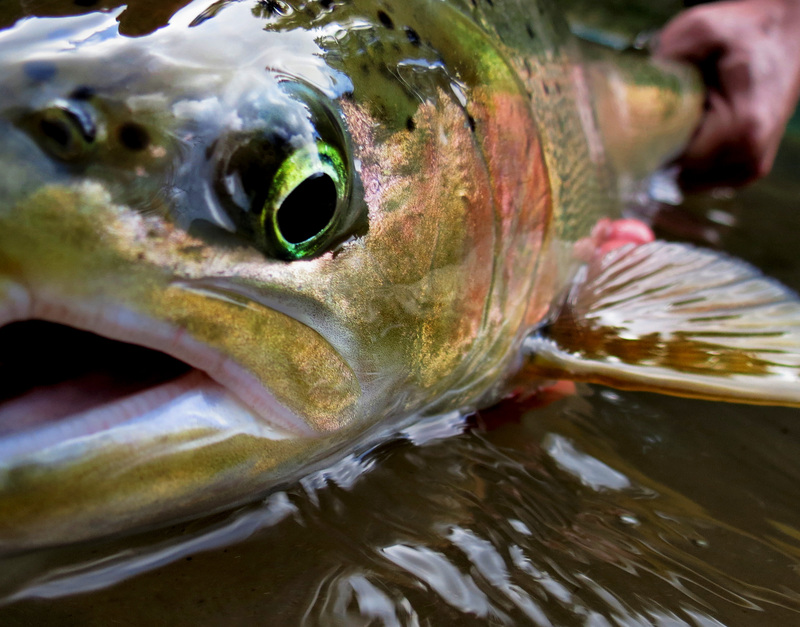 It’s not uncommon for summer run steelhead to encounter water temperatures of 70° F and warmer. 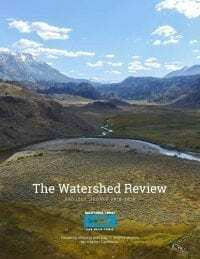 A Humboldt State University study on California’s NF Trinity River and Mad River found that summer steelhead caught in water 46-73° F had a mortality rate of 9.6% approximately 36 hours post release. 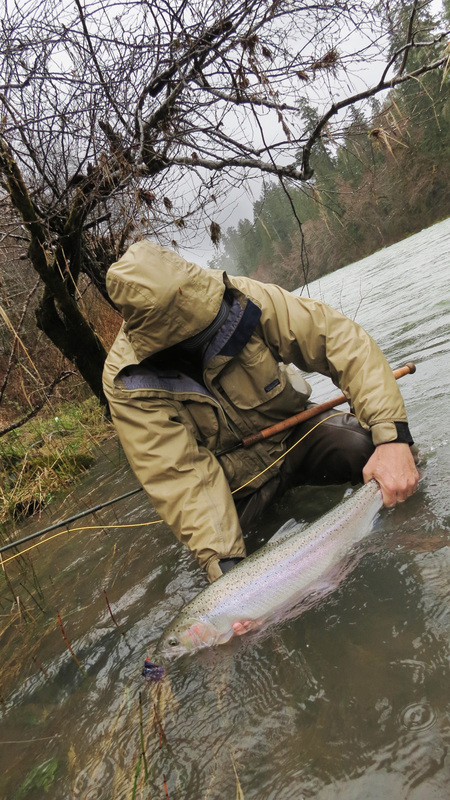 Most (83%) of those mortalities occurred at water temperatures above 70° F. Just last year the Oregon Dept of Fish and Wildlife closed sections or limited angling on the Umpqua River when temperatures rose above 70° in order to protect both Chinook and steelhead. So as water temperatures rise it becomes even more important to use appropriate tackle, land fish quickly, limit air exposure, and revive fish that need it prior to release. Have winter storms put a damper on your fishing lately? Let’s be thankful we have plenty of water and the fish are able to successfully do their thing. More water equals more fish, which is never a bad thing. 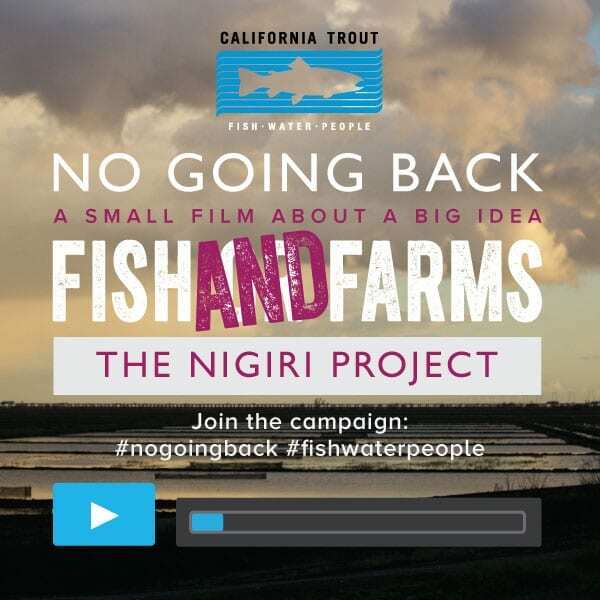 In the meantime, have a look at this great video produced by Michael Wier @mikowier and @CailforniaTrout featuring Shane Anderson @northforkstudios, Jason Hartwick @jasonhartwick and Yvon Chouinard (Patagonia). These are great examples of guys who really care about the fish and the resources and treat every fish like the special experience it is. 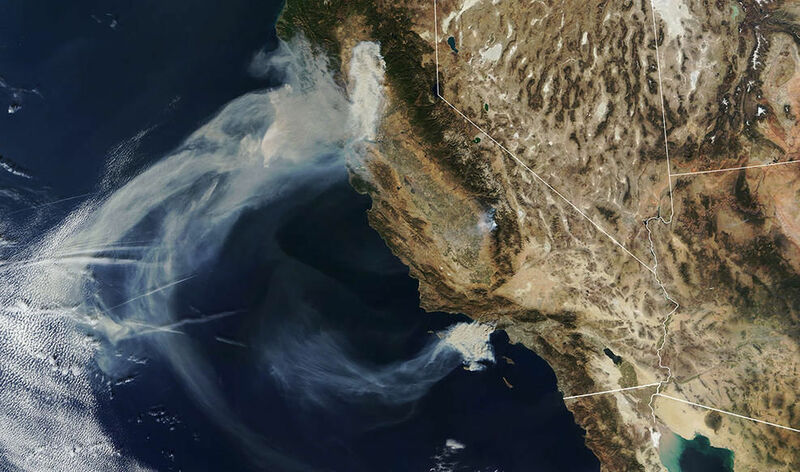 California has been ravaged by an increase in the frequency and intensity of wildfires. During 2018, there were more than 8,400 wildfires that burned nearly two million acres across the state, the most in recorded history. The increase in fire frequency is the result of an interaction between climate change and increased fuel loads and fire suppression over the last century, among other factors. Despite the recent increase in wildfires throughout the state, we know relatively little about how they affect salmonids. Understanding the effects of wildfire on salmonids, however, is important. 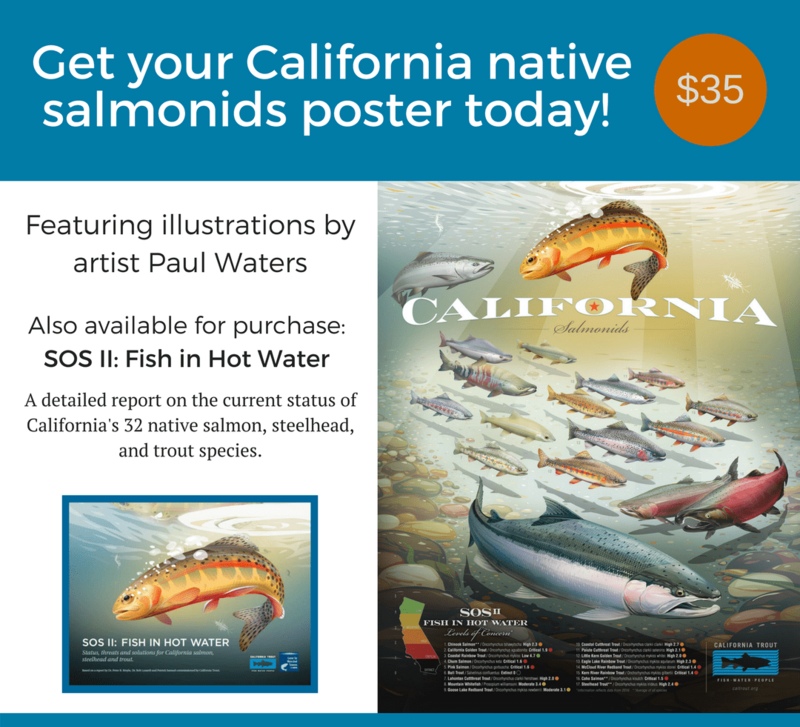 Wildfire was found to be one of the primary anthropogenic threats affecting inland salmonids in the recent State of the Salmonids Report. 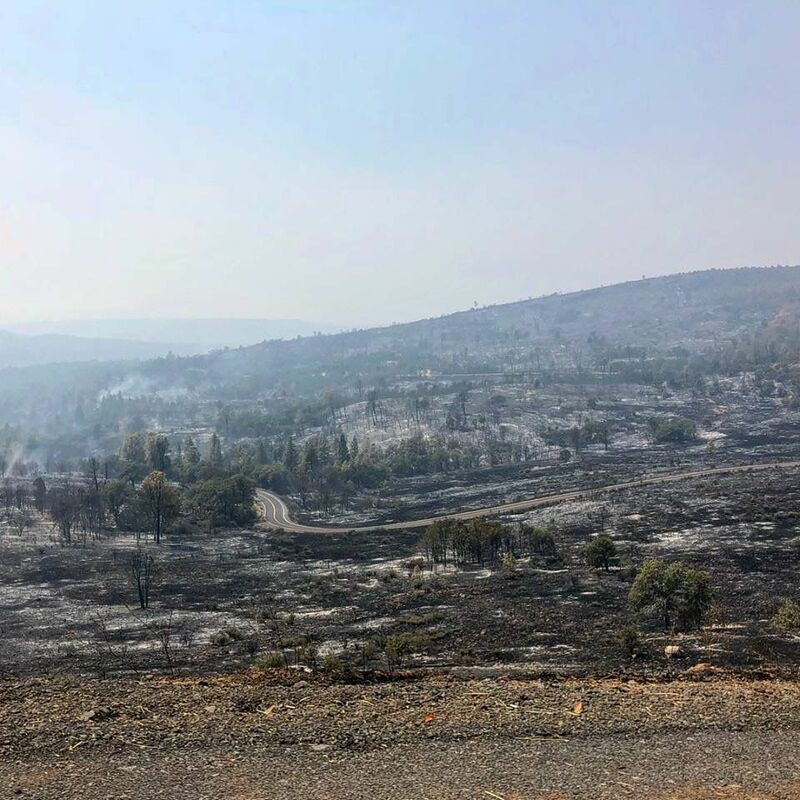 Further, recent fires such as the Carr Fire near Redding, California and its proximity to the remaining population of winter-run Chinook salmon suggest we need to better understand the various ways wildfire can affect vulnerable species or populations. Similar to many large-scale ecological processes, the magnitude of effects of wildfire on salmonids are context specific and depend on numerous factors. 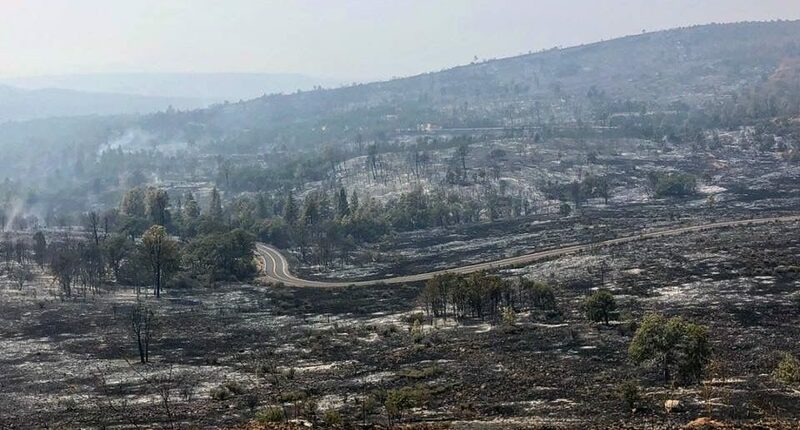 Such factors include the location of the fire within the watershed, the amount of area burned, the intensity of the fire, the species and/or populations affected and their status, and the condition of the watershed prior to fire. 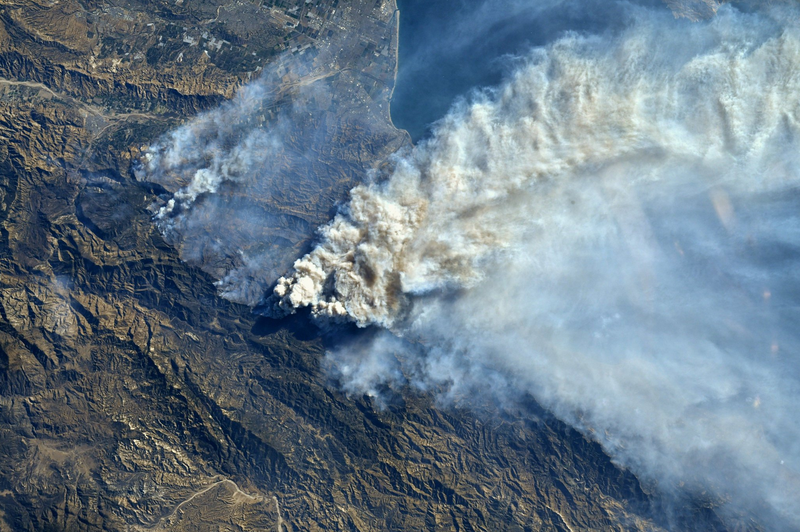 Similar to droughts and floods, wildfires also represent important disturbances on the landscape that salmonids have evolved to over millions of years. While the short-term effects of wildfire on salmonids can negatively affect populations in numerous ways, similar to floods and drought, some of the long-term effects can be beneficial to salmonids. The most notable short-term effects of wildfire on salmonids include a loss of riparian habitat (and subsequent shading) and an influx of fine sediment. Riparian habitat loss affects both stream water temperature and increases sediment delivery to rivers. In turn, significant increases in fine sediment to watersheds affected by fire have been shown to reduce salmonid spawning and rearing habitat principally through a loss of viable egg habitat. Local hydrology and water chemistry can also be greatly impacted by fire as runoff and overland flow increase with an abrupt loss of riparian vegetation. For instance, Oliver et al. 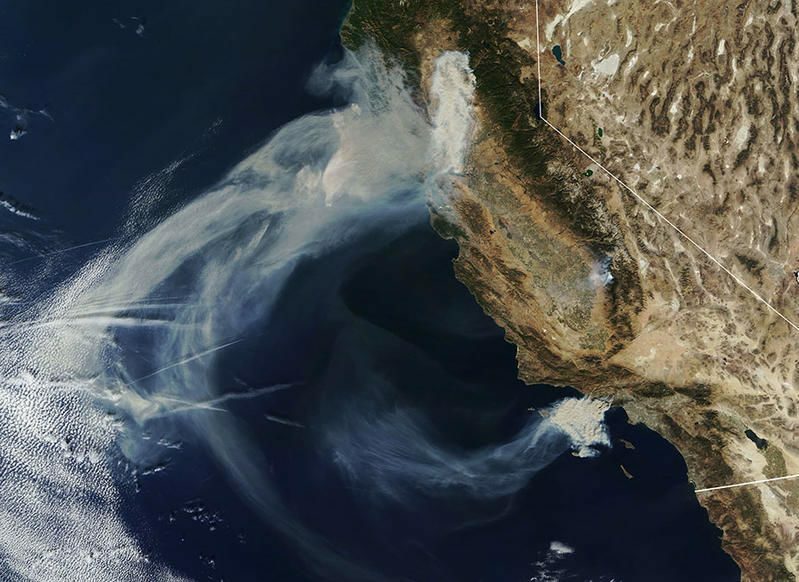 (2012) found that runoff occurred earlier in recently burned areas in California and that the delivery of nutrients, such as nitrate and phosphorous, increased. In general, intense wildfires adjacent to streams can alter local hydrology and change sediment delivery patterns and in some cases even lead to the direct mortality of fish. Bozek and Young (1994) found that a combination of intense rainfall immediately after a wildfire and increased sedimentation lead to the direct mortality of salmonids in the greater Yellowstone ecosystem. Yet, even in these instances, recolonization of recently impacted habitats can be relatively quick and largely depends on the location of viable source populations. For instance, Rieman et al. (1995) found that most stream reaches affected by wildfire were repopulated within the first year and approached densities of unimpaired stream reaches in one to three years. Wildfires can also positively affect salmonid habitat. Flitcroft et al. (2015) recently found that large wood recruitment increased in recently burned watersheds and improved overwintering habitat for juvenile salmonids through the creation of complex pool habitats. Increased delivery of nutrients, as documented by Oliver et al. (2012) and others, may also improve ecosystem productivity by stimulating stream food webs and improving the quantity and quality of prey resources. Changes in hydrology and increases in overland flow may also lead to large debris flows in upstream tributaries which, as a result, may deliver larger, cobble-size sediments to spawning areas to help improve spawning habitat. Similar to the effects of flooding, wildfires can also promote and even enhance instream processes known to benefit salmonids, yet this often occurs over longer time periods. However, as with floods, there’s an important caveat with wildfires and the evolution of salmonids. 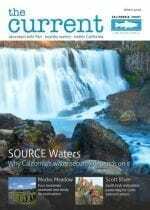 Much like dams have harnessed rivers throughout California and changed the frequency and magnitude of ecologically important flood events with dire consequences for salmonids, climate change combined with increased fuel loads and fire suppression have likely accomplished the same for wildfires with similar consequences. Historically, both floods and wildfires negatively affected salmonids in the short-term, but abundant and diverse populations enabled these fishes to recolonize disturbed habitats quickly and allow them to persist in the long-term. Changes in the frequency and intensity of wildfire combined with a general loss of population diversity across the landscape may, inevitably, create a phenomenon where salmonids lack the tools to recover and ultimately adapt to the new wildfire regime we are currently witnessing in California. Our best bet to confront this new threat is to enhance population diversity and adaptive capacity in order to improve species resilience and provide salmonids with the tools necessary to adapt to a rapidly changing landscape. Bozek, M.A., and M.K. Young. 1994. Fish mortality resulting from delayed effects of fire in the Greater Yellowstone Ecosystem. Great Basin Naturalist 54: 91-95. Flitcroft, R.L., Falke, J.A., Reeves, G.H., Hessburg, P.F., McNyset, K.M., and L. Benda. 2016. Wildfire may increase habitat quality for spring Chinook salmon in the Wenatchee River subbasin, WA, USA. Forest Ecology and Management 359: 126-140. Oliver, A.A., Bogan, M.T., Herbst, D.B., and R.A. Dahlgren. 2012. Short-term changes in-stream macroinvertebrate communities following a sever fire in the Lake Tahoe basin, California. Hydrobiologia 694: 117-130. Rieman, B., Lee, D., Chandler, G., and D. Meyers. 1995. 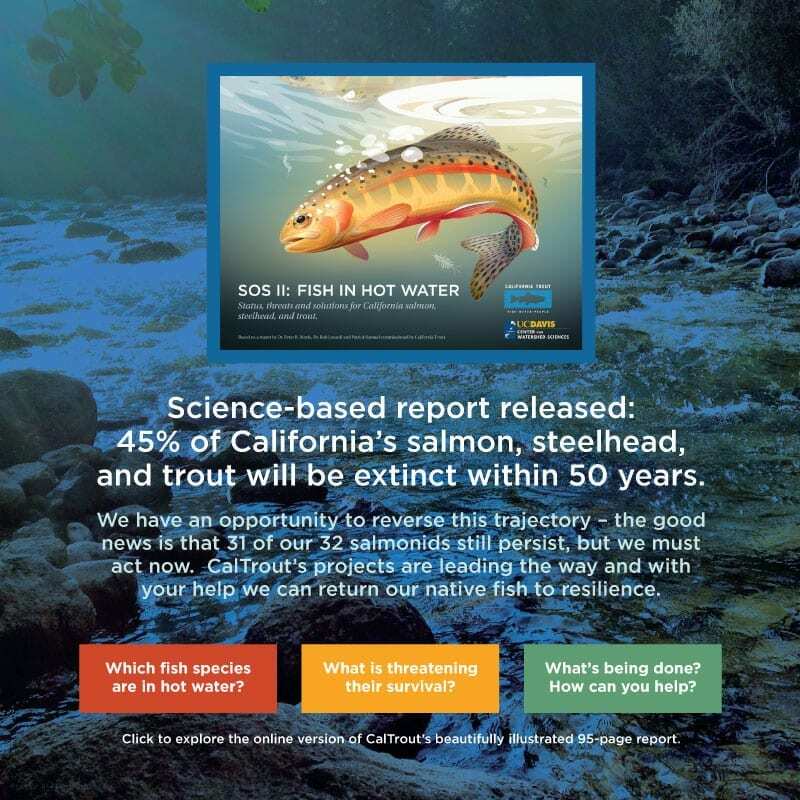 Does wildfire threaten extinction for salmonids? Responses of redband trout and bull trout following recent large fires on the Boise National Forest. Conference Proceedings – Fire Effects on Rare and Endangered Species and Habitats. Coeur d’ Alene, Idaho. Pages 47-57. What does the average fish photo look like? As you scroll down your digital feed, what do you see as representations of fishing in your angling community? How about #catchandrelease, what does that look like? Does it even matter? Ever consider these things when a fish at the end of your line? Social media and its representations of who we are seems to gain influence by the day. How catch-and-release is presented in media sets a standard that viewers will see, judge, and inevitably imitate. So what if more anglers considered that their pictures contributed to this standard, to this public vision of normal? A founding pillar of the #keepemwet movement is rooted in this very question. It’s not difficult to keep fish wet. For the most part, it requires minimal effort to take a knee at the water’s edge, to keep a netted fish in the water, or lean over the side of a boat. These are incredibly simple actions that everyone can choose to do and are easy ways to put conservation into action. Next time you bring a fish to hand, consider a few questions: Is it going back to the water or headed to the BBQ? Do I really need a photo of every fish I catch? If photographing this catch, how can I set a good example? What if every person duplicated my exact behavior with this fish — how would that impact this fishery? Anglers are not part of the problem, they are part of the solution. 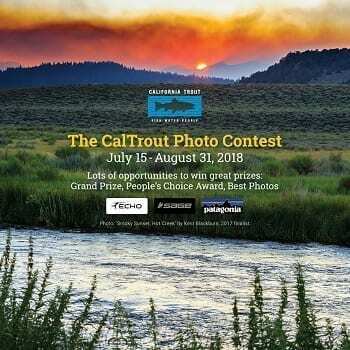 Anglers — as stewards of our river, lakes, streams, and oceans — have the power, through their photos, to influence how others perceive these ecosystems and conservations efforts. After all, few others have a finger on the pulse of fish populations the way anglers do. As a community, anglers can “move the needle” on what #catchandrelease looks like and improve the outcomes for every fish they encounter. Here’s to your next 999 casts, and great photos of the cast that follows! Californian’s have long recognized the importance of a good snow pack in meeting the state’s water demands. We know too well the effects of multi-year, extreme drought. With the most recent storm bringing snow levels to almost 150% of year to date norms, there are more than a few NorCal steelhead anglers thinking, “enough is enough” or at least “give us a little break”. Hold fish over water and not over boats or land. Fish are slippery creatures and can easily be dropped. That way if dropped, it falls back into the water unharmed. Carry pliers, hemos, or some other hook removal device. We know you’re fishing barbless, and a larger size hook should be easy to pluck from a steelhead’s mouth, but something to help remove a deeply taken fly, lure or bait is essential to have on hand. Carefully revive fish: If a fish cannot swim away on it’s own it may need reviving. Hold its head facing upstream so that the water runs in the mouth and through the gills. With the fourth or fifth major storm system of 2019 rolling through northern California, coastal rivers are going big. If you’re a winter steelhead angler you know the morning drill…step 1) coffee, step 2) precipitation forecast and step 3) flow forecasts. But, if you’re on step 3) this morning you know you’re not going fishing this weekend. Well, maybe the X River might, just might, outside chance be in marginal shape, but you know it’s iffy. So with winter steelhead on your mind and no fishing to be done, here are some ideas to keep you busy. 1) A River’s Last Chance – available on Amazon (free for Amazon Prime members) … Shane Anderson’s compelling story about the impact of timber, weed and wine on the Eel River and the best opportunity for wild salmon and steelhead recovery on the entire West Coast. 2) Swing North – Hidden behind deep gray fog, California’s North Coast is one of the most pristine habitats in the state. But the thick redwood forests and slate green rivers were almost devastated by the impact of industry. 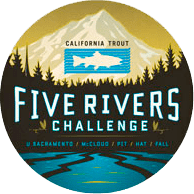 Once hosting runs of more than a million salmon and steelhead, the annual fish counts on the Eel River now often number less than 1,000. 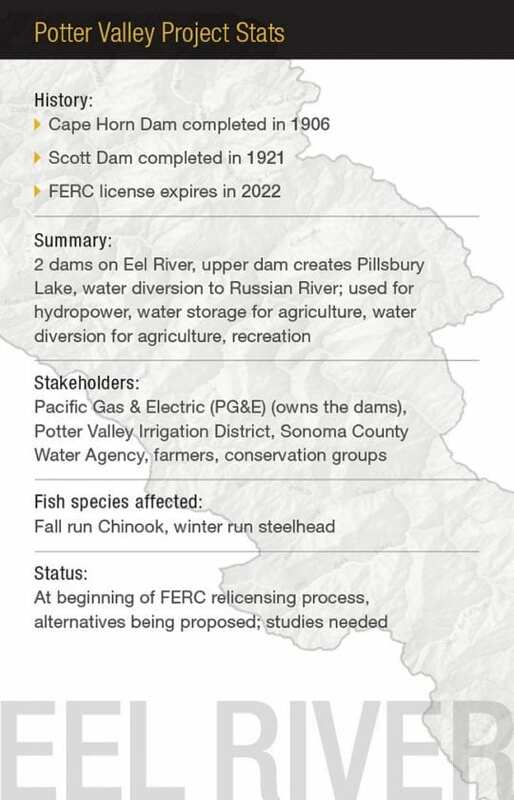 Yet, the salmonids persist. In recent years, signs of a recovery ripple through the waters. In Swing North, fishermen Mikey Wier and Jason Hartwick hook into the growing population of wild winter run steelhead on the Eel. 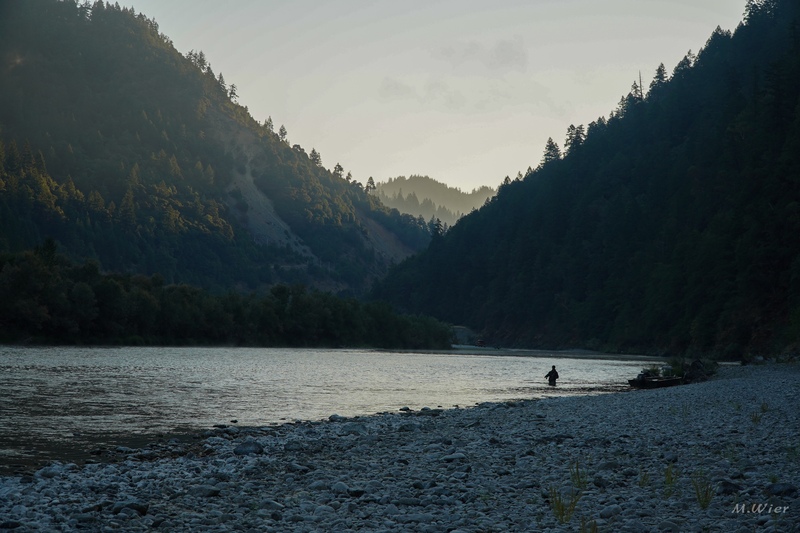 With appearances by Yvon Chouinard of Patagonia and Shane Anderson, director of Wild Reverence: The Wild Steelheads’ Last Stand, the two discover a river that holds hope for one of California’s great remaining wild fisheries. 3) Wild Reverence – Director Shane Anderson made a pilgrimage to the Olympic Peninsula in Washington state to the rivers he once fished as a boy. His relationship with the wild steelhead and the rivers in which they met upon taught him just how precious life can be. What was once a childhood fishing trip has evolved into a journey to find answers why his favorite fish is disappearing from the rivers and appearing on the Endangered Species list. How could this wild and beautiful creature slip toward the abyss of extinction? WILD REVERENCE embarks on a quest to begin a movement to enact real change not only for the steelhead but for all ecosystems. 5) KeepemWet Fishing Principles – make sure you understand the three main principles behind keeping fish wet. Our goal is simple “improve the outcome of each fish we encounter”. Thanks and fingers are crossed that there’s some fishable water around the corner! This week we take a look at recent work from BC. 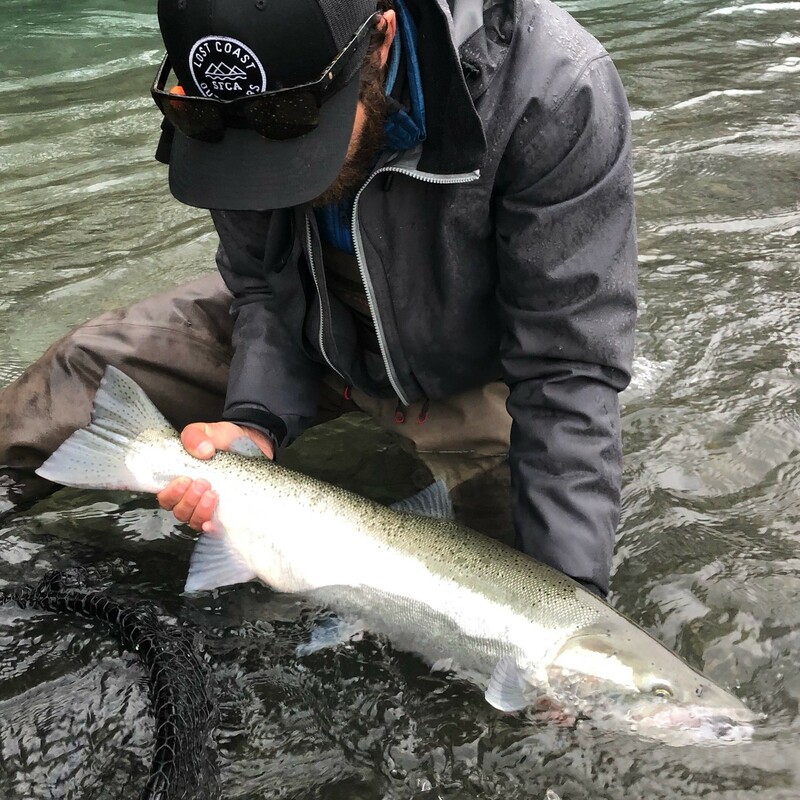 Recreational fisheries for steelhead are primarily catch-and-release, including the famed run of the Bulkley River, BC. The success of catch-and-release as a conservation tool is based on the premise that released fish survive and do not suffer any negative consequences. 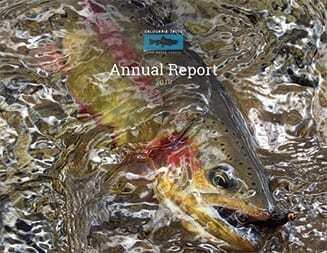 Science has shown, however, that angler behavior can have dramatic influences on the outcome of catch-and-release angling, and that research is needed that specifically focuses on wild steelhead to identify opportunities for refining handling practices to ensure the best outcomes for fish. 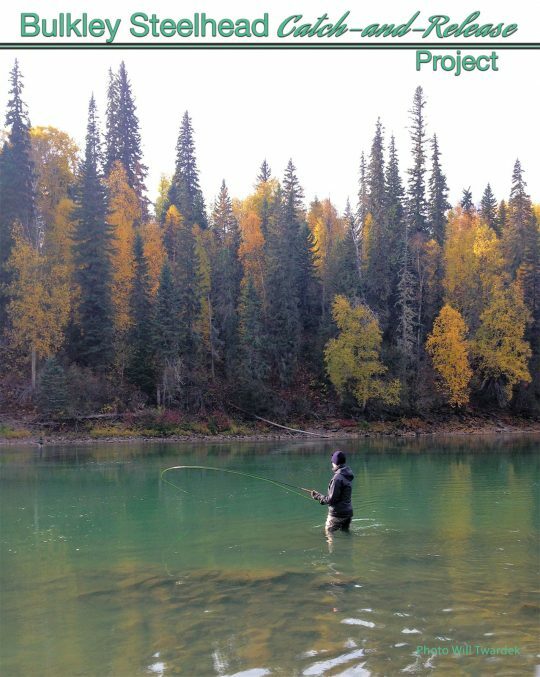 Work was conducted alongside volunteer anglers on the Bulkley River to study wild steelhead from Sept 2016 to April 2017. 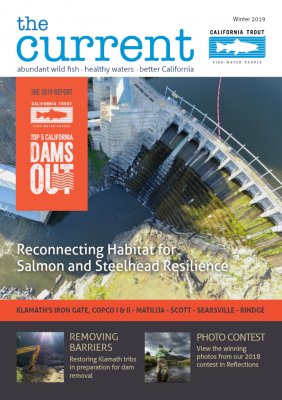 During this time, 126 wild steelhead were caught and used in one of two studies on the impacts of catch-and-release. More info on this summary and the complete report can be found here.